Amid the proliferation of real-time data from sources such as mobile devices, web, social media, sensors, log files, and transactional applications, Big Data has found a host of vertical market applications, ranging from fraud detection to scientific R&D. Despite challenges relating to privacy concerns and organizational resistance, Big Data investments continue to gain momentum throughout the globe. The research estimates that Big Data investments will account for over $65 Billion in 2018 alone. These investments are further expected to grow at a CAGR of approximately 14% over the next three years. 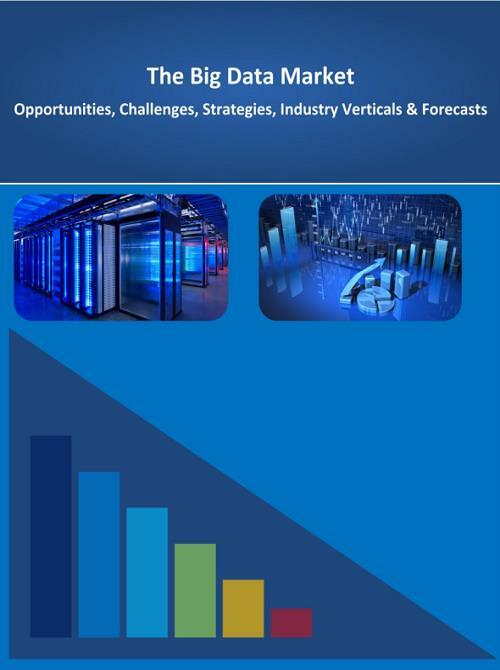 The “Big Data Market: 2018 - 2030 - Opportunities, Challenges, Strategies, Industry Verticals & Forecasts” report presents an in-depth assessment of the Big Data ecosystem including key market drivers, challenges, investment potential, vertical market opportunities and use cases, future roadmap, value chain, case studies on Big Data analytics, vendor profiles, market share and strategies. The report also presents market size forecasts for Big Data hardware, software and professional services from 2018 to 2030. The forecasts are segmented for 8 horizontal submarkets, 14 vertical markets, 6 regions and 35 countries. What trends, challenges, and barriers are influencing its growth? Who are the key Big Data software, hardware, and services vendors, and what are their strategies? With ongoing advances in AI (Artificial Intelligence) technologies, Big Data analytics initiatives are beginning to leverage sophisticated deep learning systems with an autonomous sense of judgment - to enable a range of applications from chatbots and virtual assistants to self-driving vehicles and precision medicine. The vendor arena is continuing to consolidate with several prominent M&A deals such as Oracle's recent acquisition of enterprise data science platform provider DataScience.com - in a bid to beef up its capabilities in machine learning and Big Data for predictive analytics, and Google's acquisition of Big Data application platform provider Cask Data.